The US has seen the price of its 3D TVs rise for the fourth month in a row, with the price increases hitting the active shutter market. According to a study by 'global information' company IHS, active shutter tech seems to be more of a premium of late, which means the price gap between this technology and passive is shrinking. 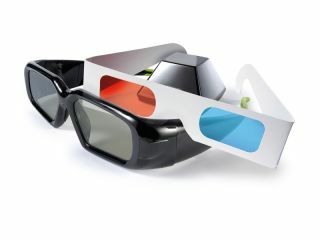 "The biggest pricing increases for flat-panel televisions last month were among the new 3D models employing active shutter glasses, the most popular type of three-dimensional set on the market today," explained Riddhi Patel, IHS television systems and retail services director. "There is an increasing number of models with 3D capability in the product mix that have higher than average prices. These sets drove price increases for the entire flat-panel television market in the United States in June." What's interesting is that active shutter TVs hold pretty much the same technology inside them as high-end 2D TVs. The added cost is within the glasses and the IR sensor, which is sold separately. Passive TVs on the other hand are costlier to make, as the screen needs special treatment for the passive glasses to work. It's a surprise, then, that passive TVs are now seen as the cheaper 3D alternative. The IHS is saying that in the 40- to 49-inch range, passive TVs are now cheaper by 9 per cent. This rises to 14 per cent when you look at TVs 50 inches and above. This cheapening of passive TVs does seem to be aggressive pricing by LG and likes to get the technology in the market, much like Sony and Samsung did in the UK before Christmas.